These Terms of Trading apply to all our distance transactions and conform to the applicable laws. Agreement with these Terms is a condition of enrolment. Right to cancel: If you need to cancel within 14 days of enrolment and obtain a refund, you can download our cancellation form at this link and email it to us or send us the information required by email. We reserve the right to make changes to the availability, content, tuition fees, set books or any other details of any course at any time. The mention of a course on our website is not a guarantee of availability. If we receive a payment and the course is not available, a full refund will be made. We reserve the right to refuse admission to any course without giving a reason. UKCHT programmes are presented for educational purposes only. They are not substitutes for psychological or medical care, counselling or psychotherapy. Please consult your medical doctor if you have a medical problem. If you require counselling or psychotherapy, please consult a qualified practitioner. Students are responsible for their own well-being. UKCHT is not responsible for the outcome of the use of any technique or material taught in any course. Compliance with the Consumer Contracts Regulations 2013 and any subsequent applicable regulations: this law and the rights detailed below apply to all transactions within the UK for customers in the UK and the EU, where the customer does not meet the seller in person. Sales from one business to another are not controlled by these regulations. If you are a self-employed professional, and you have enrolled on one of our courses for professional purposes, we interpret that to be a business-to-business transaction. The law allows you a 14-day "cooling off" period. During that time you have the right to cancel your contract and to obtain a full refund. The 14 days will begin from the time you receive our confirmation of your enrolment. During that time you may cancel without a reason. Let us know by email that you wish to cancel, preferably by using our form at this link. If you claim a refund within the 14-day "cooling off" period we will let you have that refund within 30 days. However, the regulations allow that if the order is for specially personalised goods, the right to cancel a purchase does not apply. If, for example, we have arranged an award comprising a personalised certificate, or you are ordering a personalised or made to order product the "cooling off" period will not apply. Paypal payments will be refunded via Paypal. Non-Paypal payments will be refunded by the most convenient means at our discretion - normally by cheque or BACS. If you are outside the UK or EU the Consumer Contracts Regulations do not apply and there is no statutory requirement for a refund. Please ensure you are committed to the course before you enrol. CANCELLATIONS OR INTERRUPTIONS AFTER THE COOLING OFF PERIOD After the "cooling off" period, our services will be available for you during your registration period and for any longer period that we have agreed. If you do not exercise your right to use those services, then that does not entitle you to a refund. If you need to suspend your studies for any reason, it is your responsibility to let us know as soon as possible, and we will give you any appropriate advice. At our discretion, we can decide to lengthen the registration period for a specified time without further charge. ACCEPTANCE OF APPLICATIONS The acceptance of your application is valid for 7 days during which payment must be made. If we do not receive payment within that period your application will be cancelled and the record destroyed, for data protection reasons. You will need to re-apply later if you wish to join the course at a later date. WHAT WE PROVIDE The tuition fee for any course includes: Accepting and processing your application. Acknowledging your application. Providing study instructions (these may be provided on the website or by email). Providing books free of charge if those are included in the course fee. Assessing course assignments and/or examinations. Tutorial support by email where this is included (There is no tutorial support for the “Conscious Courses” self-study range). Issuing the printed certificate if and when you have successfully completed your course. Advice on further study and/or professional memberships if appropriate, at our discretion. The tuition fee does not include: The cost of any books or research materials used by the student where the course details indicate that books are not supplied. Supplying duplicate certificates or replacing lost certificates. Printing and postage costs to non-UK students where we cannot send material by email. COURSE CHANGES We reserve the right to make changes to course fees, content, reading lists, syllabi, assessment details and any other particulars at any time. METHOD OF ASSESSMENT The course assignments will be assessed for their adherence to the requested study plan, and for general standard of writing, presentation, readability, quality of discussion and documentation of sources. Assessment is continuous and there are normally no final exams. If the student passes the course and and any other specific academic requirements are met and all fees due have been paid, the award will be issued. TIMESCALES (for Students) Students are expected to complete courses in the Conscious Courses range within six months. Most UKCHT taught courses are open-ended with no fixed completion time for the life of the course. We will make every effort to assess any assignments sent to us within 7 days. FAILING A COURSE A student who fails a course module may re-take it one more time at no further charge. Additional attempts will require extra fees. BOUNCED CHEQUES AND OTHER FAILED PAYMENTS It is the student's responsibility to ensure that there are sufficient funds in their account before issuing a cheque or other payment. If necessary please verify the balance by checking with your bank. A fee of £40 will be charged to cover costs and administration time in the event of a payment being dishonoured. COLLEGE CANCELLATION OF REGISTRATION The College reserves the right to cancel a student’s registration for a course at any time without notice, or withhold recommendation for an award, without refund if the student is found to do any of the following acts aimed at the College or any of its tutors or linked organizations: misrepresentation of previous qualifications or biographical details, spamming or any form of attack on our computer systems or websites, publishing or making slanderous or libelous statements, trolling on social media, copying any copyright material (including parts of the website and any logos) without written permission, gross plagiarism (copying someone else’s work and claiming it is your own), abusive behaviour, issuing a bouncing cheque and not paying the fees and costs due, expressing racism, hatred or incitement to violence, or any criminal act. In all these matters the decision of the Principal will be final. APPLICABLE LAW The law applicable to any transaction with UK College of Holistic Training / Conscious Courses shall be the law of England and Wales. CONSUMER RIGHTS Nothing in this statement is meant to interfere with the student’s consumer rights under UK/EU law. DATA PROTECTION Please see our Privacy Page for further details. 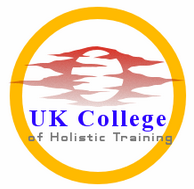 UK College of Holistic Training and Conscious Courses are trading names of M L Berg PhD. UKCHT is registered with the UK government's Register of Learning Providers under Provider Reference Number 10028354. If you have a complaint, please contact the Principal by letter to our London postal address. We will do our best to resolve any matters raised. This page was last updated 6th March 2019.